Fueled by major infrastructure and real estate projects, Qatar’s construction sector is expected to grow by an average of 10 percent a year until 2025 – making it the strongest in the GCC, according to a new report. In an industry trend analysis released this week, BMI Research noted that the sector’s pace of growth slowed to 11.4 percent this year, down from 18 percent in 2014. For the nearly five years since FIFA awarded Qatar hosting rights to the 2022 World Cup,critics have lobbied for a change in venue. Some argued that the country was too hot to host the tournament in the summer months, but that hurdle was cleared last year after FIFA voted to move the games to the winter for the first time. Others accused Qatar of corruption and obtaining hosting rights by bribing officials. Authorities here have repeatedly denied such allegations, but they continue to circulate. Fueling the uncertainty, Swiss officials recently began a criminal probe into Russia’s 2018 bid and Qatar’s 2022 bids, after arresting several FIFA officials in May. 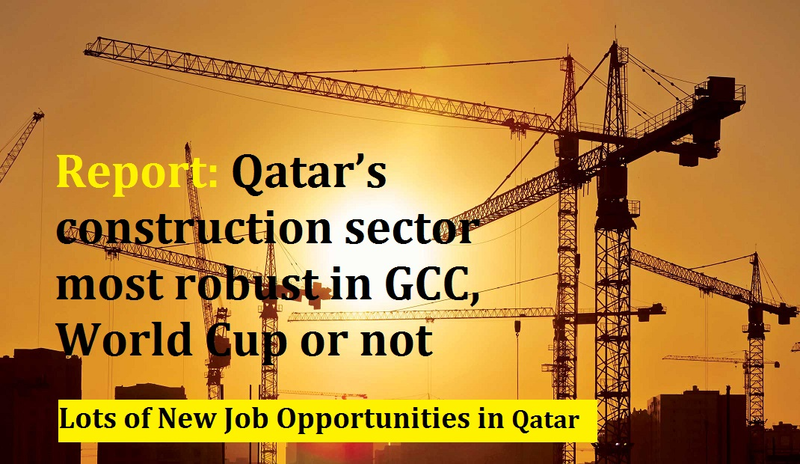 Despite recent developments, BMI Research said that even if the games were taken away from Qatar, it would still boast the fastest growing construction sector in the Gulf. “With much of the country’s infrastructure pipeline not directly linked to the World Cup, while growth would certainly be slower as the government rationalises expenditure without the strict 2022 deadline, the majority of major projects would move forwards. The report added that in the coming decade, it expects demand for materials and labor to increase throughout the Gulf, leading to price increases. Another challenge facing Qatar in the coming years is disputes with contractors. Last month, a locally-based legal analyst urged the country to “actively plan and manage project delivery,” or risk facing a host of issues that could endanger deadlines.